8:30 to 4:00, Sunday through Friday. Closed on Shabbat, major Jewish Holy Days and secular holidays. Judaism views death as a natural part of life. Hills of Eternity Memorial Park honors the two basic principles that are part of this natural life cycle: k’vod ha-mayat — the dignified and respectful treatment of the dead — andk’vod he-chai — the honored treatment of the mourners. Congregation Sherith Israel established its first cemetery in accordance with these principles when it was founded in 1850. The cemetery was located in Pacific Heights on Vallejo Street, between Gough and Franklin. In 1860, Sherith Israel dedicated its second cemetery in the area that is now Dolores Park. Twenty nine years later, Sherith Israel’s cemetery moved again to its current location in Colma. Hills of Eternity Memorial Park consists of twenty acres of graciously landscaped gardens at the foot of the San Bruno Mountains. The grounds and mausoleums are respectfully maintained under endowed care. Fresh flower placements and grave ornamentation plantings add to the dignified beauty and serenity of the park. Traditional ground burials are offered in the memorial gardens. Above ground burial is an offered in the Portals of Eternity and in the Gardens of Eternity Mausoleums. Inurnment and entombment are available in mausoleum niches in an indoor setting at Portals of Eternity and in an outdoor setting at Gardens of Eternity. The Portals of Eternity mausoleum and chapel were designed by Samuel Hyman and Abraham Appleton, and were built in 1934. With its tall, octagonal tiered towers capped by tiled and copper domed roofs, the mausoleum is an outstanding example of neo-Byzantine architecture. 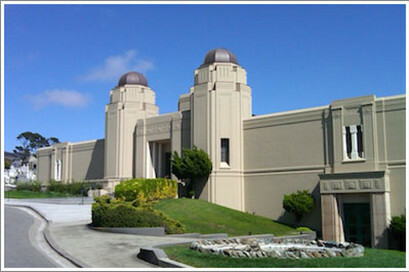 Hills of Eternity Memorial Park has designated sections for several Bay Area synagogues: Congregation Beth Am, Congregation Etz Chayim, Congregation Beth Jacob, Congregation Kol Emeth, Congregation Or Shalom, Congregation Sha’ar Zahav, and Peninsula Sinai Congregation.